Last Friday, December 16, 2016, our community and especially the Glenwood Education Community lost a great Friend! 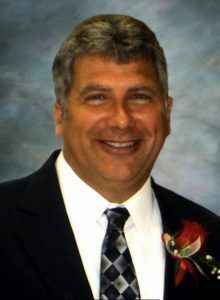 Timothy (Jake) Olson; a 7 years long member of the Board of Education and friend to anyone who wanted or needed a friend, succumbed to a years’ long battle with cancer. Jake will be long and fondly remembered by everyone who had the good fortune to have met him. His judgment was impeccable, his humor a real pleasure, and his laugh infectious. He will be missed by everyone here at Glenwood. Our sincere condolences are herein offered to his wife, Lisa, sons Jacob and Thomas, his parents, siblings and all others who will miss him.